We perceive many things with our eyes. Many visual impressions are engraved in our memories. But, all the things that are going on around us, can also be detected by the ear; can be listened to with various feelings. What effects do silence and noise have? The sonic drawings unfold themselves, build up with memories of future and past, which lead us back to the sound of the moment. It is enriching to discover the musicality of a moment and to find oneself listening to that music. 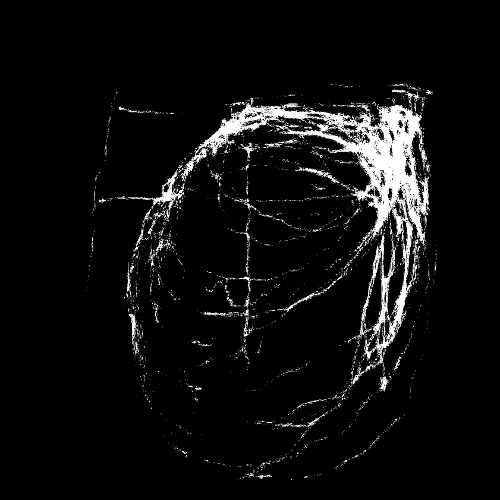 The release „Sonic Drawings“ walks the line beetween the musicality of a situation in a person’s live and the sound which sleeps in odd material or electrical devices. Found sounds: Italy, Ireland, Germany | Using several kinds of microphones, analog & digital maschines and self built instruments. Artwork & Mastering: Milch & Co.
Serene and surreal Roland Etzin’s “Sonic Drawings” offer compelling looks at otherworldly terrains. Over the course of the album Roland Etzin explores the mystical within the mundane. Regular experiences are filtered through a wide variety of distortions, disorientations, and otherwise reconfigured beyond recognition. Featuring such a wide swath of styles Roland Etzin offers a unique take on the art of field recordings allowing them to become something entirely different. 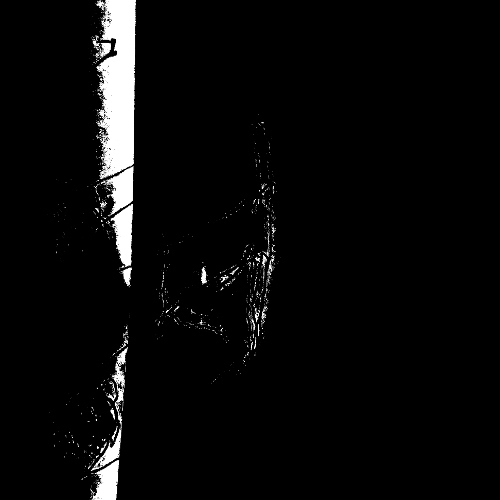 Sounds bounce off of each other resulting in entirely different soundscapes in which nothing is quite as it seems. Easily the highlight of the album is the majesty of “Garten”. Within this singular piece Roland Etzin allows for a single drone to embody everything. This drone feels akin to a gigantic symphony. Vocals float in and out of the mix. From this singular sound Roland Etzin is able to draw upon a wide body of work. Quite energetic the song simply builds. Playful to its very core the song experiments with electro-acoustics until it becomes at times nearly cartoonish. Later in the mix Roland Etzin incorporates piano and classical into the sound resulting in a fully-formed approach. By the final stretch of the piece the sound has become angelic as it wafts away. Ending things on a relatively lo-fi tactic is the surprisingly tense work of “Wasser” complete with an anxious rhythm to carry things to their rightful conclusion. Roland Etzin’s “Sonic Drawings” proves the emotional power and resonance of field recordings. As both a listener and reviewer, I’m grateful when a release comes with a generous amount of background detail, but I’m also charmed by those that don’t. In the latter case, the absence of information grants the listener greater speculative room regarding a recording’s origins and production, and generally the enigmatic character of a release is enhanced by leaving some degree of mystery in place. A case in point is Roland Etzin’s Sonic Drawings, which has been appropriately issued on Gruenrekorder, the German label Etzin co-founded with Lasse-Marc Riek, as part of its Sound Art Series. 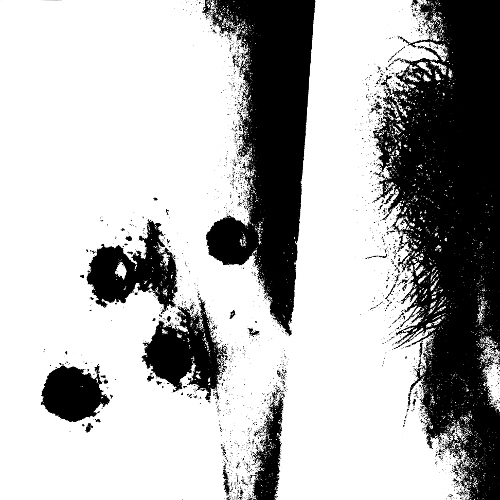 A note on the release’s inner sleeve does provide some clarification: “Found sounds: Italy, Ireland, Germany; Using several kinds of microphones, analog & digital machines, and self-built instruments.” Ranging in duration from two to thirty-six minutes, the four engrossing sound collages are designed, in part, to re-sensitize the listener to the musical richness of real-world sounds and those sourced from electrical devices. Though Etzin largely works with field recordings, the new material emphasizes electronic elements to a larger degree than might be expected given his previous output; that in itself is no bad thing, as the soundworlds featured on the release are all the richer for it. Someone has a rather hard time getting a rickety old machine to cooperate in the opening “Wand,” its sputter and groan providing a brief entry-point for the fifty-minute collection. 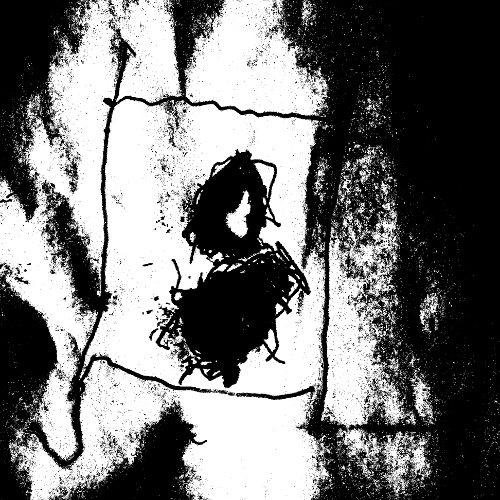 The recording’s electronic dimension then advances to the fore during “Vinschgau,” though the grind of the swollen synth drone is gradually joined by a myriad of field-recorded sounds: cowbells, crowd chatter, industrial noise, tolling church bells, and the like. It’s a sound collage in the truest sense, and at ten minutes a substantial amount of sonic ground is covered. Electronic elements also figure prominently in “Wasser” (though water does also), but at thirty-six minutes it’s “Garten” that naturally casts the largest shadow. In bringing so many disparate sounds into a shared space, the piece exudes a character similar to “Revolution 9,” especially when the mix broadens to encompass electronic, vocal, real-world, and instrument details, and those familiar with Etzin’s earlier productions might be surprised to hear the collagist both threading electronic rhythms into the setting’s fabric and venturing into space ambient territory. Episodes of soothing calm alternate with moments of intense activity, and “Garten” smoothly segues between sequences featuring pure electronics, ones dominated by field recordings, and still others where all of the sound dimensions in play are called upon. It’s a remarkable accomplishment, something of which Etzin should be justifiably proud, and the variety and stimulation sustained throughout the work is impressive. ROLAND ETZIN, der andere Gruenrekorder neben Riek, zeichnete Sonic Drawings (Gruen 166) mit Klängen, die er in Italien, Irland und vor Ort gefunden hat. Unter Einsatz diverser Mikrophone sowie analoger & digitaler Maschinen entstanden die Klangbilder ‘Wand’, ‘Vinschgau’, ‘Wasser’ und das weitläufige ‘Garten’. Im Sinne von Wolfgang Welsch, der eine Abkehr von der Prävalenz des Sehens als postmodernen Paradigmenwechsel notierte, verbindet Etzin Schwarzweißgraphiken mit Futter für die Imagination des Ohres. Konkrete Klänge reizen den Hörsinn zu einem ‚Sehen‘ ohne Augen: mit Klappern und Bohren, mit Kuhglockenkonzert auf surrendem Feld, mit Kirchenglocken, vom Fliegengott umbrummt, mit glucksendem Wasser und Staustufenturbine. Selbst im Garten und mit Klimperpiano ist es nicht idyllisch, weil es mit quietschendem, marschierendem, tschilpendem, zuletzt tuckerndem und pixelndem Beat zu harmonisch schweifenden Dröhnwellen, raunender Brandung oder brummigem Fond wahrer und schöner klingt. 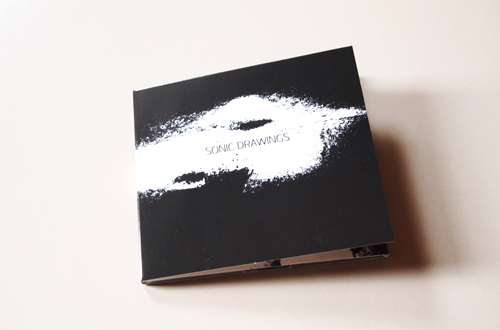 Sonic Drawings is a four track album of found sounds, analogue and digital machines and self built instruments, and is designed to give the listener the feeling and effects of the world around us. The chasm between silence and noise and what fills that void. The musicality and richness of the machines in our world played out across the albums 50 minute span. Starting with “Wand” just under two minutes of what can only be described as a robotic cow and I’m already to stop listening to the rest of this album. The description is pretentious enough without this as as opener. However continue I do, and I have to say track two “Vinschgau” actually piques my interest a little. But four minutes of deep bass drone sadly come to an abrupt halt when some cow bells, birds and a what sounds like a motorbike take over for two minutes before the bass drone comes back and by nine minutes this track is taken over by the sounds of church bells as the bass drones fades off. Actually the last minute is probably the best bit of this track, nay, the album! I’m rapidly losing the will to live. I like field recordings, but these first two tracks really don’t inspire you to listen to the rest of the album. But, soldier on I must. “Wasser” begins with a slightly distorted drone that jumps between 2 notes as a the water sounds are brought up in the mix. The crackling and pulsating static noise that permeates the track as the water is sloshed and repeated give the impression of the last embers of a fire going out. “Garten” is 35 minute meander of a track taking in a deep base hum, deep distorted bass noise, tinkling metal, motorcycle noise, bird song. The sounds of the street mixed with some self built machines. I must be missing the point because I’m left utterly clueless with this. And I’m sorry, but I do want to waste 35 minutes listening to it to get the point. This album is the perfect example of how a field recording albums shouldn’t sound. It’s pretentious and has all the emotion of the microphones used to capture the found sounds. The every day does leave impressions on our memories, but these impressions are sometimes happily forgotten by our subconscious because we don’t need to retain them. The world doesn’t need a sonic drawing of it, because our own minds don’t need the reminder! 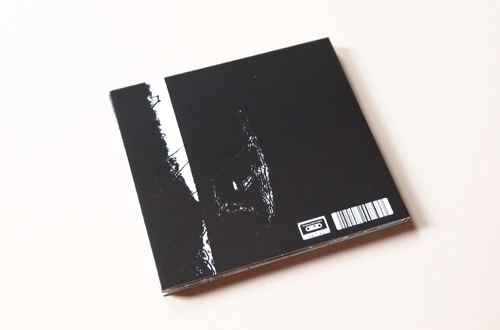 This is a new piece of prolific German artist who develops his woork in the genres of field recordings and audio art. He has a string of releases on Gruenrekorder, a record label co-founder member alongwith sound artist Lasse-Marc Riek. 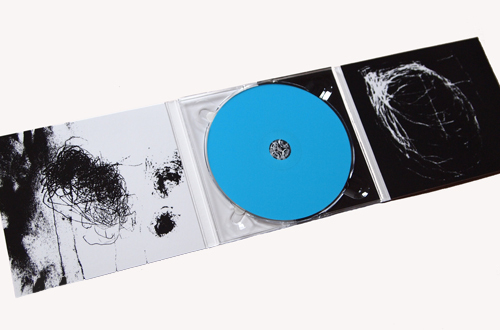 „Sonic Drawings“ is part of the label series of Sound Art. To the question posed by Etzin „What effects do silence and noise have?“ I think the effects would be depending on what perceptual representations we have more available, if the visual, auditory or kinesthetic (emotions, touch). Consequently the sound or silence, a human being can associate it with an image, or listening and therefore have an interpretation of what he/she hears, or experience an emotional state of joy, sorrow, anger, love, etc. 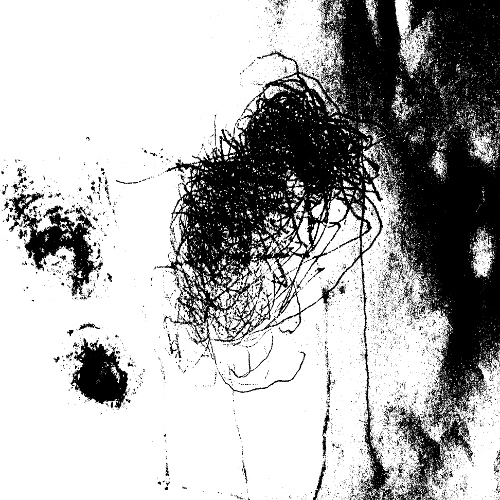 “Sonic Drawings” contains found sounds collected in Italy, Ireland, Germany; “using several kinds of microphones, analog & digital machines and self built instruments”. On “Wand” (wall) we can listen to a machine but I’m not sure which kind is, and recognize a mechanical and repetitive noise. 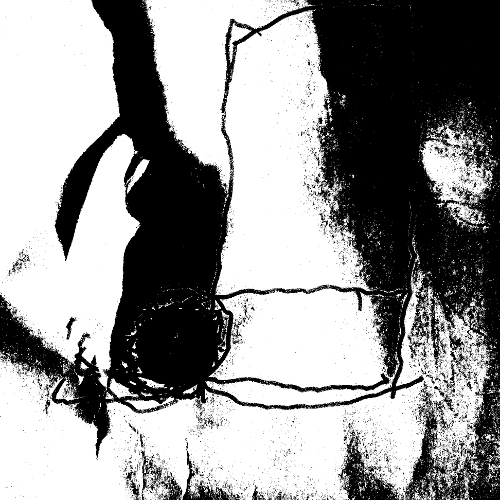 On „Vinschgau“ there are bells, voices of people talking, engine noise of a machine, birds and emerges as a backdrop to the surface a penetrating dark synth line that is on the edge of saturation. 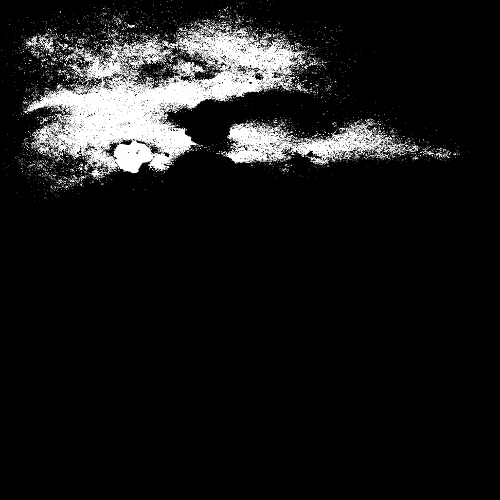 „Wasser“ shows water sounds with static noises and “Garten” continues in the dark vein of the previous track. At 35:36, “Garten” is nearly 70% of the set, making the other pieces seem like prelude. In this piece, Etzin is able to take his time. The low hums of its origin will not last; the motorbikes and bells return, this time foreboding. Is this music? Is this noise? It all depends on the listener. It’s one thing to those who play it at home, another to those embedded in the initial environment. One wonders what they would make of the topplings: sounds into rhythms, splices into loops, the creation of a near-techno soundtrack from the scrape and bustle of the city. Or the brushing of an evening scene into a muted watercolor swirl. For a while, the tones converge on peace, before a marching beat tramples all over them, sending them into a dreamlike fugue. For nearly a quarter hour, the sounds are are soft as fog, the beats returning only in the final minutes like a bracket meant to keep them from escaping. When the disc is done, the sounds of ordinary life rush in to fill the gap. Après nous avoir fait faire un petit tour d’Asie dans son TransMongolian, Roland Etzin nous revient d’Allemagne, d’Italie et d’Irlande avec des sons plein la musette (floquée Gruenrekorder, of course). Reste plus qu’à piocher dedans pour confectionner un nouvel album, et c’est Sonic Drawings ! Pour faire vite on pourrait dire qu’Etzin ne sait pas vraiment quoi dessiner et qu’il crayonne en attendant l’inspiration. Il fourre donc tous les bruits qu’il peut (cloches suspendues à des cous de moutons, bruit d’une moto sur la route, notes de piano…) sur une même piste (ou plutôt sur quatre, même si les trois premières sont bien plus courtes que la dernière) et compte peut-être sur son auditeur pour trouver un sens caché à tout ça, qui sait ? 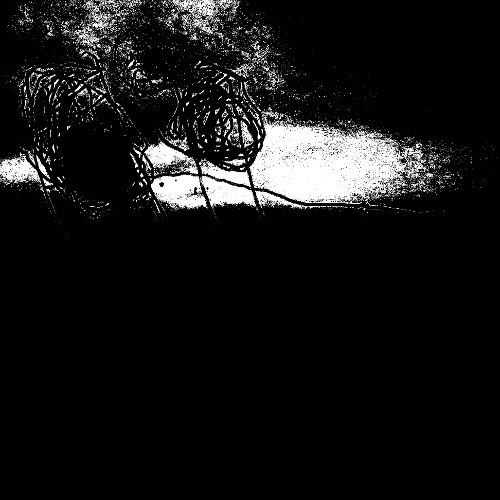 Les sons de Sonic Drawings sont nombreux ; ils vont, en plus des field recordings, des nappes de synthétiseurs analogiques à des notes d’instruments inventés par Etzin himself. Surtout, ils partent dans tous les sens sans vraiment de cohérence mais… rien de grave. L’essentiel n’est pas là. Il est plutôt dans ce fourre-tout à dominante électronique (au final) qui vous explose à l’oreille et, selon les moments, vous agresse ou vous étourdit (come il est beau, le rythme des débuts de Garten). Si ce n’est peut-être pas abouti, l’ébauche peut donc avoir du charme ! Jeden ze współzałożycieli oficyny Gruenrekorder powraca z nowym albumem. Niemiecki artysta dźwiękowy od wielu lat zajmuje się field recordingiem. Związany jest m.in. z grupą Autumn Appreciation Society. W pierwszym okresie swojej działalności Etzin tworzył pod nazwą Rasselland. Jednak szybko porzucił ten alias i zaczął wydawać pod własnym nazwiskiem. W 2015 roku wraz ze Stefanem Militzerem opublikował płytę „O/live“ (tutaj pisałem). Najnowszy krążek „Sonic Drawings” powstała w oparciu o nagarnia terenowe zarejestrowane we Włoszech, Irlandii i Niemczech, przy użyciu analogowych i cyfrowych mikrofonów, a także rozmaitych urządzeń elektronicznych własnoręcznie wykonanych. 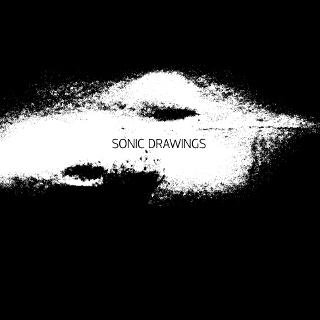 „Sonic Drawings” nie jest materiałem w pełni składającym się z field recordingu, to raczej eksperyment z obszaru tzw. sound art’u. Myślą przewodnią tego albumu jest zarówno wskrzeszanie wspomnień za pomocą określonych dźwięków powiązanych z danym miejscem, jak i wychodzenie w przyszłość. Niemiec zestawił bardzo różne odgłosy otoczenia (słyszymy pracę silnika auta, brzęczące dzwonki zawieszane na szyjach krów, świergot ptaków, piłę mechaniczną, dzwony kościelne, bulgoczącą wodę) z warstwą elektroniczną, miejscami zahaczającą o systemy modularne. Najbardziej wciągnęła mnie ponad trzydziestominutowa kompozycja „Garten”, przypominająca swego rodzaju lot w kosmos, w którym pierwotne źródło dźwięku zanika lub przestaje istnieć. W efekcie wytworzyła się odrębna przestrzeń wypełniona dźwiękowymi strukturami (z nawiązaniem do ambientu), uruchamiającymi w słuchaczach komparatywne myślenie. Roland Etzin przygląda się odgłosom natury z wielu perspektyw i zręcznie przesuwa ich konteksty, dzięki czemu jego świat muzyczny nie składa się z przewidywalnych form. From these two new Gruenrekorder releases I started with the one that has the most regular package, a digipack and CD by Roland Etzin, who has had releases on this label before (see Vital Weekly 631 and 851). On the cover we read that this contains ‚found sounds: Italy, Ireland, Germany; using several kinds of microphones, analog & digital machines and self built instruments‘, which is probably I would describe this myself, as it what I hear too. It also lives up to it’s title as these four pieces (ranging from two minutes to thirty-five minutes), as these are very much drawings with sounds. We hear cow bells, cars, chainsaws, water, church bells and what have you, played together, perhaps not always ‚possible‘, but that’s the beauty of music: it can all sound together and make a wonderful visual piece. Unlike some of his previous work, Etzin seems to be working more electronics this time around, and does that with great care. I would think these are electronics transforming his field recordings, but maybe also modular synthesizer, iPad apps and that sort of thing and the four pieces are fine pieces of collages with sound. From the long and quiet ‚Garten‘ to the noisier ‚Vinschgau‘, with a variety of machine sounds, Etzin combines the right sound material to evoke pictures that come to live before one’s eyes. An excellent release and good to hear something from him that is less based on pure field recordings. Lustvoll experimentierend, poetisch und humorvoll, für mich die neue Rammstein der Klangzeichner und Feldaufnehmer mit fetten Kopfnickern, Nostalgie und Geräusch-Romantik. Athos meets Trecker. Ein schöner Spannungsbogen vom ersten reduzierten Stück bis zum letzten epischen.